When love is not madness, it is not love. Express your madness, passion, love and emotions… Speak it out loud and make it heard. Can expressing love bring out something unexpected? It can! 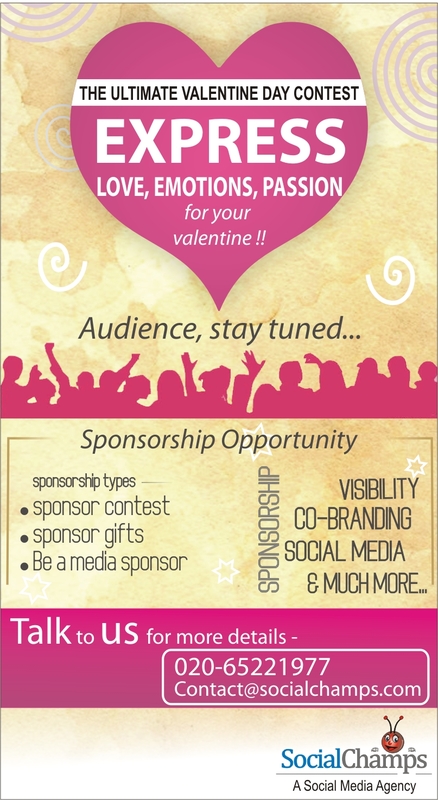 We are organizing a valentine day contest, to make this day an even more special day…. Love is a powerful emotion. Being deeply loved by someone gives you strength, while loving someone deeply gives you courage. Show the courage to profess your love and win prizes. Stay tuned for further updates !! No one is untouched with the Valentine fever. We know this well, and hence we are offering an opportunity for Startup’s, SME’s and Entrepreneurs to JOIN US for this contest and get tremendous visibility. You can be a sponsor by giving some goodies to winners on behalf of you OR sponsoring some amount to make this campaign even bigger and better. You have an opportunity to be in front of millions of lovers. 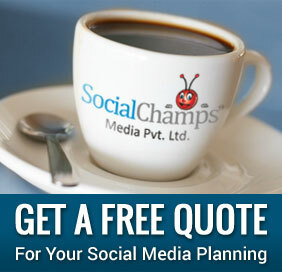 To know more contact us.